It might be hard for younger race fans to believe, but there was a time not long ago when you had to wait in line — a long line — to get a decent seat for the Indianapolis 500. This was before the CART-USAC split, before the internet, before the race became completely homogenized by technology. This story tells of an era that would be completely foreign to those who didn’t live it. I’ve included a sidebar that gives an example of one fan’s experience in selling his tickets. That fan — Ted, a longtime friend of mine — still goes to the race each year, but thousands of other people have dropped out of the race to go to the race. (c) 1989, The Journal-Gazette, Fort Wayne, IN. Reprinted with permission. INDIANAPOLIS — You’d think it would be easy. After all, the Indianapolis Motor Speedway can provide seating for more than 235,000 people, and has room in its infield for hundreds of thousands more to roam. 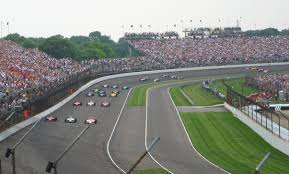 But the Indianapolis 500 remains one of the toughest tickets in the entertainment industry, athletic or otherwise. If the fact an estimated 350,000-400,000 people attend it each year seems mind-boggling, consider this: many thousands more — perhaps as many as 100,000, perhaps even more than that — get turned away each year. It’s not only the most popular sporting event in the world, it’s one of the most exclusive as well. Just why so many people would be willing to park a mile away, lug coolers to a bleacher seat and sit in the hot sun for several hours to watch cars whiz by so fast they can hardly tell who’s who is another story. The bottom line is, the race clearly holds an intoxicating appeal over a lot of people, and the number of junkies seems to grow each year. The Speedway, for reasons known only to its board of directors, prefers to maintain an aura of mystery to its ticket situation. It refuses to publicize just how many seats are available, except to say the number exceeds 250,000, and it won’t tell you how many seats are available in any particular section, either. 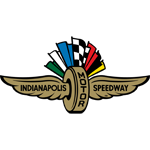 The attendance figures released on race day (nearly 400,000, including those with general admission tickets to the infield) and for qualification and practice days are estimates from the Indiana State Police. The Speedway obviously could sell a lot more tickets simply by putting up more seats. But then scarcity might be the race’s best selling point.